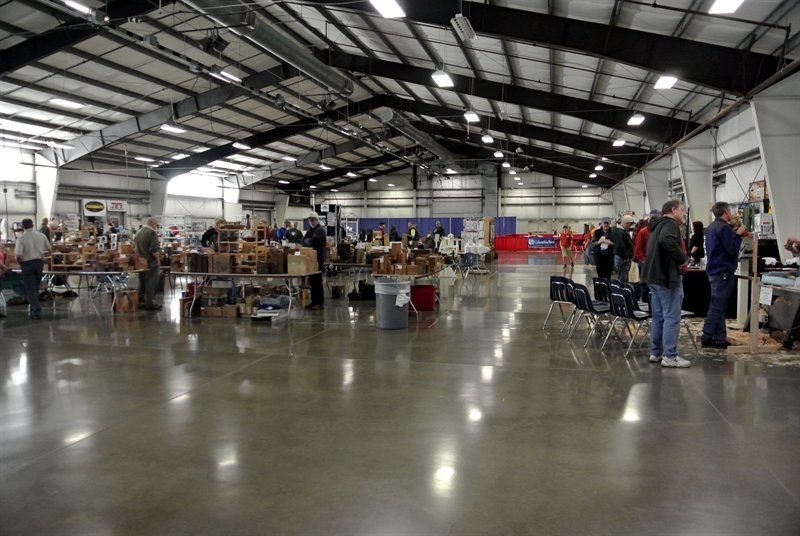 We took a short break from house hunting and spent 4 nights in Albany, Oregon (about 115 miles) where Gordon enjoyed the first semi-annual Oregon Woodturning Symposium. 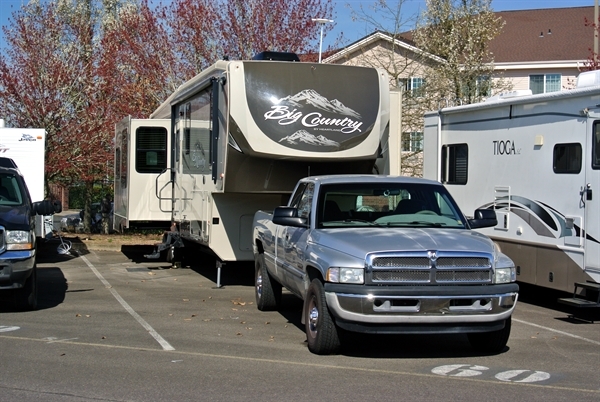 Here we are at our home for four nights in the parking lot RV Park at the Linn County Expo Center. What this site lacks in campground beauty it makes up for with convenience. We were quite comfortable here. 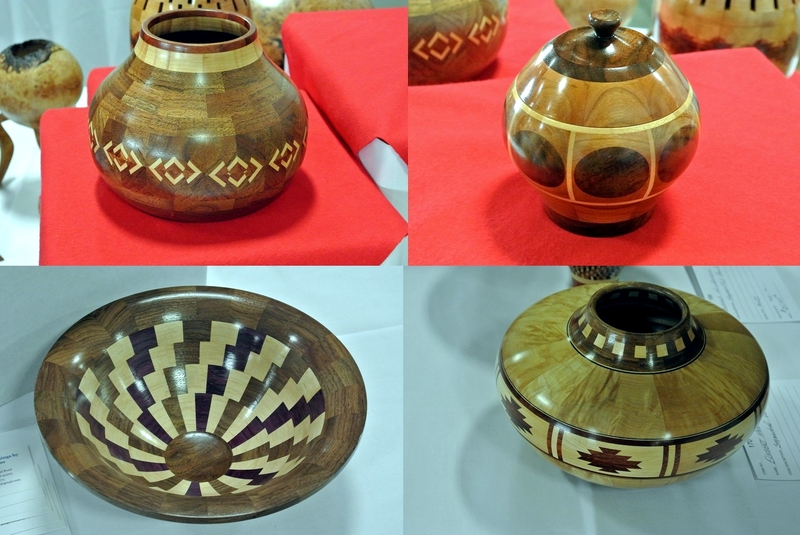 This is a small sample of the turnings from the show’s gallery. I should have taken more pictures as there were pieces from most of the categories of wood-turning. I really liked the wooden cowboy hat and of course took lots of pictures of the segmented work. I watched about 18 hours of demonstrations by turners with amazing skills. Hopefully a little of the training worked its way in. I won’t know until we get settled and I have a shop again. In addition to the seminars there were many vendors with great bargains most of which I had to pass up but I did get a few tools and a little bit of African Blackwood that I intend to use to make crochet hooks. The Saturday night banquet was much better than we expected in fact it was actually very good! At our table we met a very nice couple from Nova Scotia. She was the turner and he was just along for the ride. Also at the show I recognized my cousin Dave Geotz whom I had not seen or talked to for over 40 years. We did a little catching up and exchanged phones, addresses, and promises to get together. All in all it was a very enjoyable, well-organized event where I had many learning opportunities. I will definitely go in 2017 if I am able.